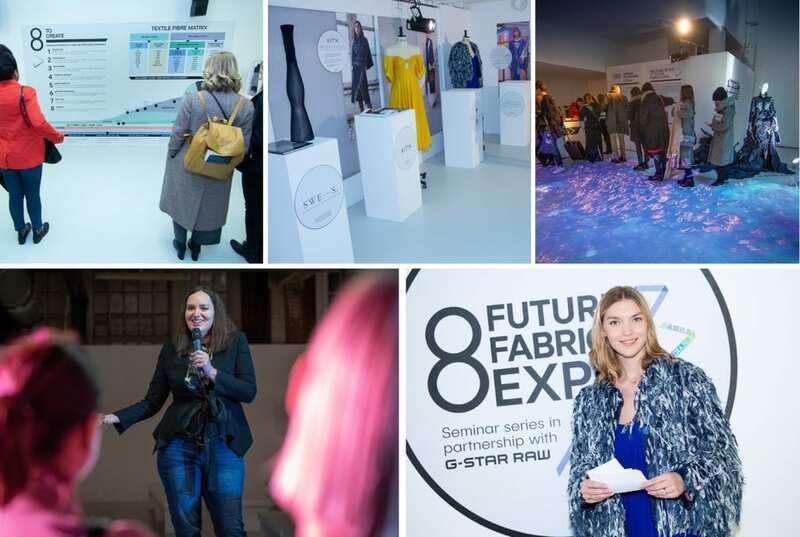 Our 8th Future Fabrics Expo returned last week on 24-25th January 2019 for its most ambitious showcase yet! 8th Future Fabrics Expo at Victoria House in London January 25, 2019. This image is copyright Suzanne Plunkett 2019©. Our biggest-ever edition of the Expo took place in the sleek, 22,000 sq ft venue of Victoria House Basement in central London, and welcomed more than 2500 visitors over the two days. The turnout and engagement truly exceeded our expectations, with a record number of visitors ranging from luxury brands to high street retailers to startups, academics and students. 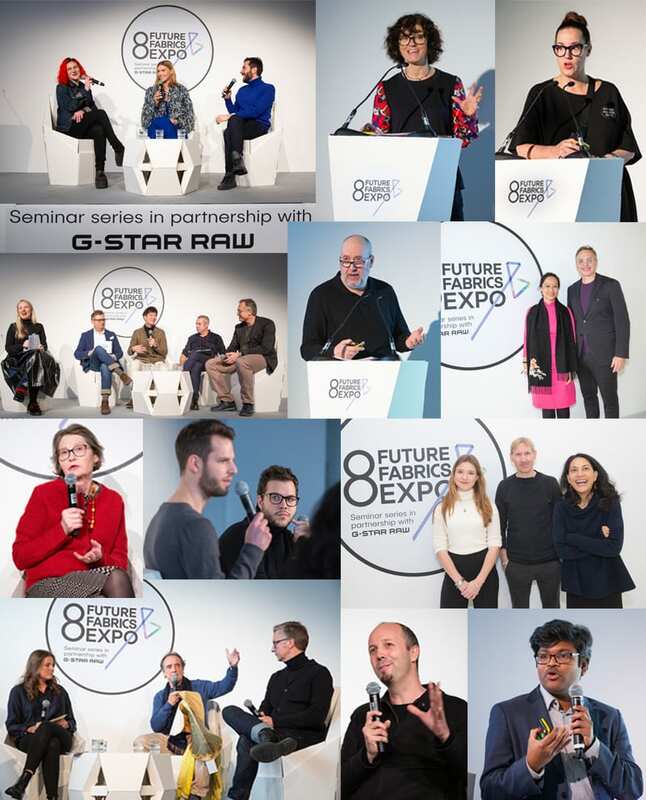 As the largest dedicated showcase of sustainable materials for the fashion and textile industry, the 8th Future Fabrics Expo featured over 5000 commercially-available fabrics and materials from suppliers who are offering innovative solutions with a low environmental footprint. For the first time, we showcased a dozen best practice suppliers in their own stand. The two-day event is unique: a curated showcase which displays educational background information alongside thousands of materials. This enables fashion industry professionals to engage with positive and informed decision-making. We provide tools and advise on responsible practices, promoting a diverse material future. Each material in our showcase is individually labelled with sustainability information, as well as its key environmental criteria, which we developed with the Centre for Sustainable Fashion back in 2011. As the consumer demand for sustainable products continues to heighten, the fashion supply chain is responding by finding solutions and collaborative opportunities that address the environmental damages caused by our industry. 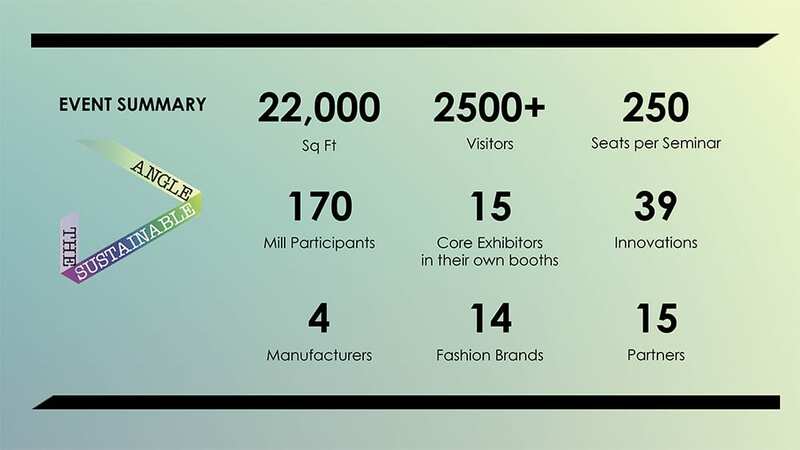 To support this growing conversation, The Sustainable Angle expanded its 8th expo to showcase the whole sustainability journey, from fibre to garment. 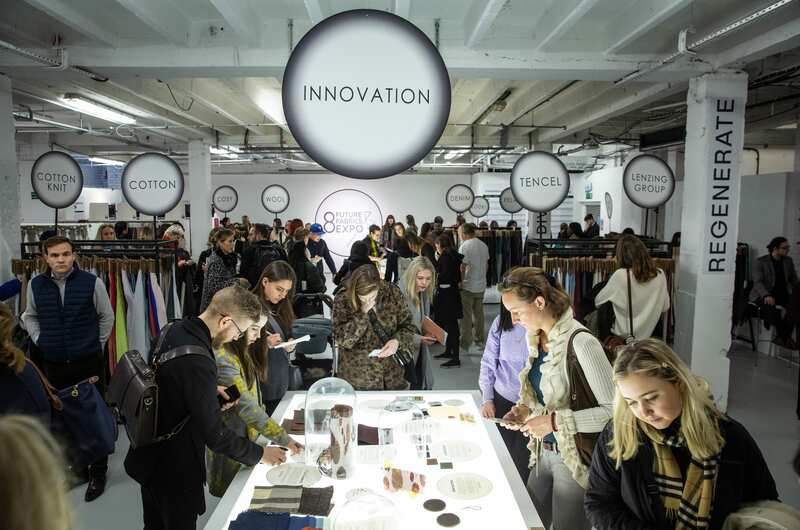 This year, we featured 12 best-practice core exhibitors and manufacturers in their own booth, a bigger Innovation Hub that included a collaboration with Fashion for Good-Plug and Play Accelerator Programme, an information zone, and a fashion brands space. Our popular seminar series hosted a dozen discussions with 26 speakers to a captive audience of 250! The awareness around this year’s 8th Future Fabrics Expo is evident that sustainability is no longer a “trend” or option, but a critical imperative for one of the most polluting industries on the planet. “This culture has to change. We need to be more curious: read the label, ask questions and research the brand’s sustainability credentials,” says Nina Marenzi, Founder and Director of The Sustainable Angle. Through the resources and activities showcased at the Expo, The Sustainable Angle aims to promote and connect materials suppliers with visionary designers and brands, who realise that fashion can have a positive impact upon nature and communities by working with safe, renewable materials and responsible practices throughout the supply chain. Thank you to all who helped us organise and support this 8th edition, and a SPECIAL thank you to the kind support of all our wonderful interns and volunteers helping during the last few days leading up to the expo. Our opening event was kicked off with a mesmerising installation by Holition augmented retail in the entrance hall, welcome remarks by Nina Marenzi and a performance by comedian Deborah Frances-White from the popular podcast The Guilty Feminist. Our 8 TO CREATE principles for people and planet and fibre timeline set the scene and created the context for discovery. A new biodegradability area featured packaging leader Tipa Corp.
Our new fashion brands spaces were curated by Arizona Muse x RCM Studio and a second one was supported by Lenzing Group. 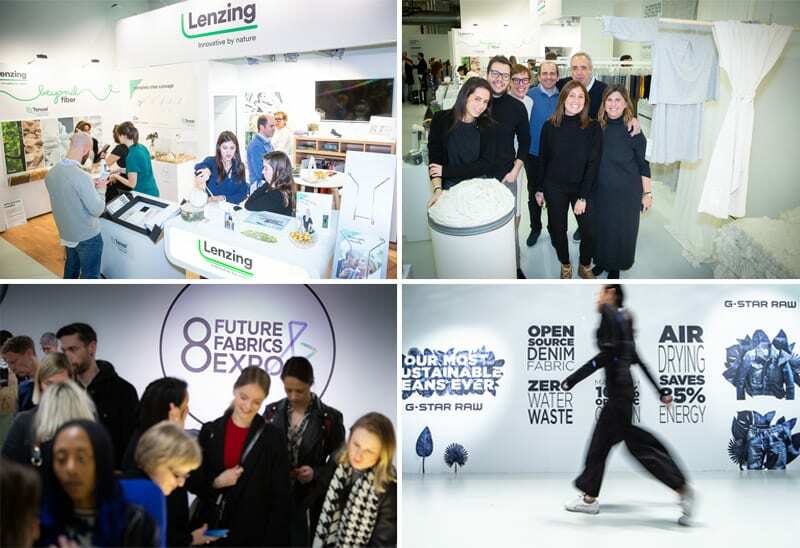 Lenzing Group showcased a complete display from raw material to fibre, including a new TENCELTM collaboration with US footwear brand Allbirds. Hallotex visualised their textile recycling process with an impressive 200kg fabric bale made from 6000 cotton t-shirts. A bookshop by Chrome Yellow and a delicious plant-based café by Plates catered to attendees during breaks. An information zone at the expo featured GOTS, Fashion Revolution, Retailer standards by Dr. Pamela Ravasio, and a Design Toolkit for the industry. Our seminar panels were moderated by Clare Press, presenter of the Wardrobe Crisis podcast and Australian VOGUE’s Sustainability Editor-at-Large, Arizona Muse, model and sustainability campaigner, and Bel Jacobs, ethical fashion journalist and former fashion editor for the Metro. We hosted a private evening panel with our partners at the Fabric of Life series, titled ‘Fabrics for a Flourishing Future’, which explored the environmental issues in the complex fashion supply chain, its impact on biodiversity and opportunities opening up through innovation. Guests included Neva Murtha of Canopy Planet, Phil Townsend from M&S, Stacy Flynn of Evrnu, Clare Press, and The Sustainable Angle’s Curator Amanda Johnston. To top it off, we held an Impact Investors Breakfast as part of the expo for a select group of invited angel investors, funds and family offices representatives to discover the start-up companies and sustainable materials in our Innovation Hub. Full video seminar series available for streaming soon…sign up for our mailing list to stay updated! STAY CONNECTED >>> to find out more about our upcoming masterclasses on sustainable materials for fashion, resuming March 2019 in London. All images copyright2019© photographed by Suzanne Plunkett.